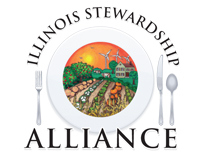 Corporate Identity for Illinois Stewardship Alliance representing their advocacy for sustainable agriculture and land conservation. 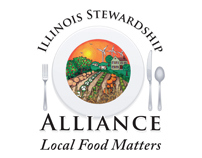 ISA is a non-profit organization that advocates sustainable agriculture with a focus on local food awareness. 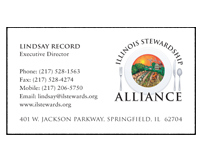 They needed a logo that reflected a "farm to fork" element, or an awareness of food coming from farms. The illustration in the plate was to incorporate a diversity of crops that would appear in a sustainable farm atmosphere. 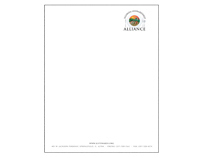 Logo design, business cards, letterhead and envelope were created and produced for this brand identity. Later, a tagline was added for a second format to the logo.